Dr. Ali A. Kiafar has four decades of experience in professional practice and university teaching in the areas of architecture, urban development, and educational facilities planning and design. For close to three decades he has held top executive positions in California’s public education system. Starting in 1980, he has taught at USC and UC Riverside. Dr. Kiafar has received several academic and professional awards and appointments to state-wide positions, including Excellence in Teaching Award from UC-Riverside, Best Community Development Award from AIA, and Implementation Task Force, Collaborative for High Performance Schools (CHPS). He has been a member of various professional organizations, research institutions, and literary, cultural and humanistic endeavors and has published extensively in the US and overseas. 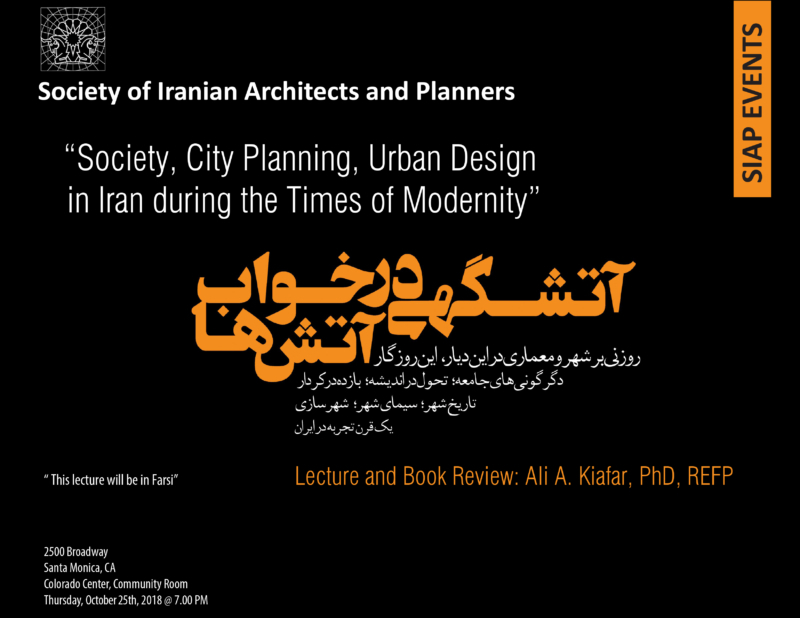 His latest work is a 3-volume book on the transformation of cities and architecture in Iran during the times of modernity.